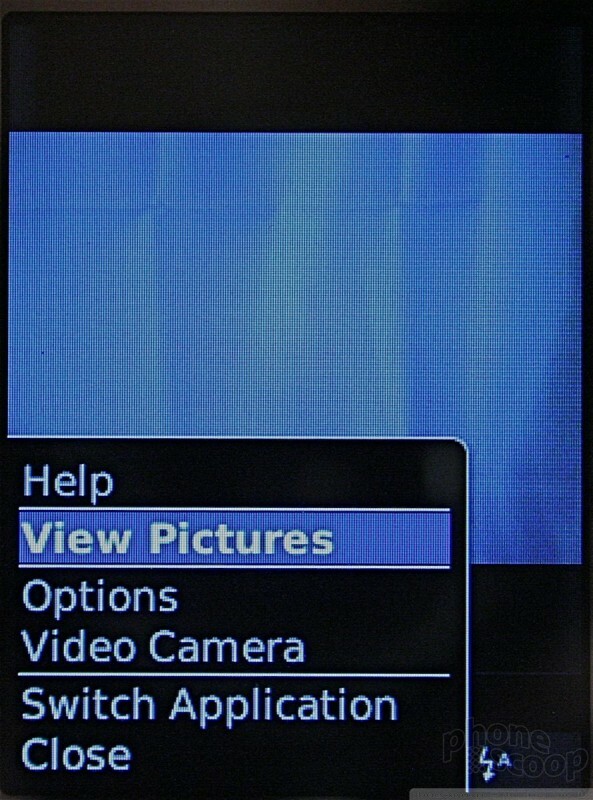 The camera can only be launched via the Flip's menus, there is no dedicated key. Similar to the original Pearl or Curve, however, you can set one of the two application keys to launch it. Unless you do this, launching the camera will take about 5 seconds in total, which may be too long. The screen shows you your subject and there is a bar along the bottom that shows you some of your options. The track ball lets you zoom in and out, but the zoom function is preset to 1x, 3x, or 5x. This is somewhat frustrating, as 5X can be too much, and 3x can be too little. The rest of the camera application is a bare bones affair. You can adjust the flash, choose between normal, B&W and sepia tones, and adjust the resolution and quality of the images in the options menu, but that is about all. 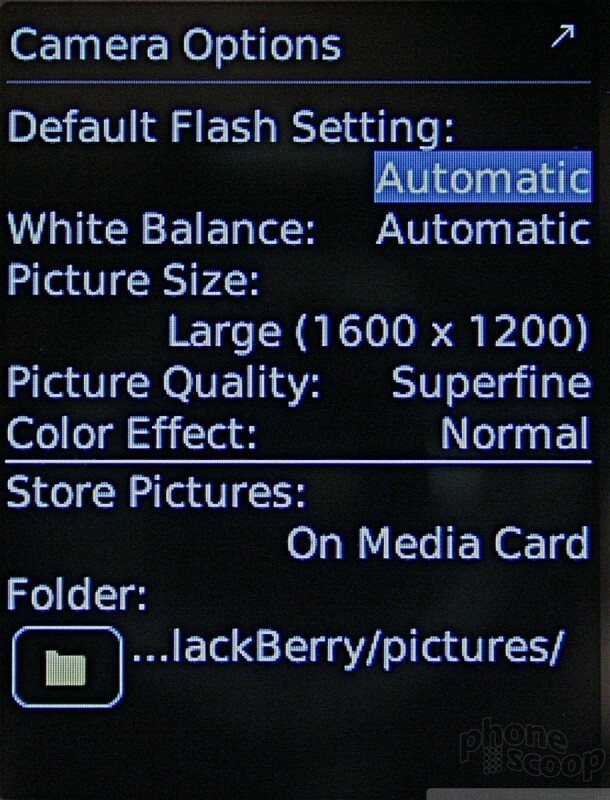 The flash is improved compared to previous camera-carrying RIM devices. Perhaps the nicest feature is that you can expand the viewfinder to fill the entire screen, meaning the status bar along the bottom disappears. This really gives you a nice large view to help compose pictures. You hold the phone vertically, but it actually takes pictures in the landscape orientation. 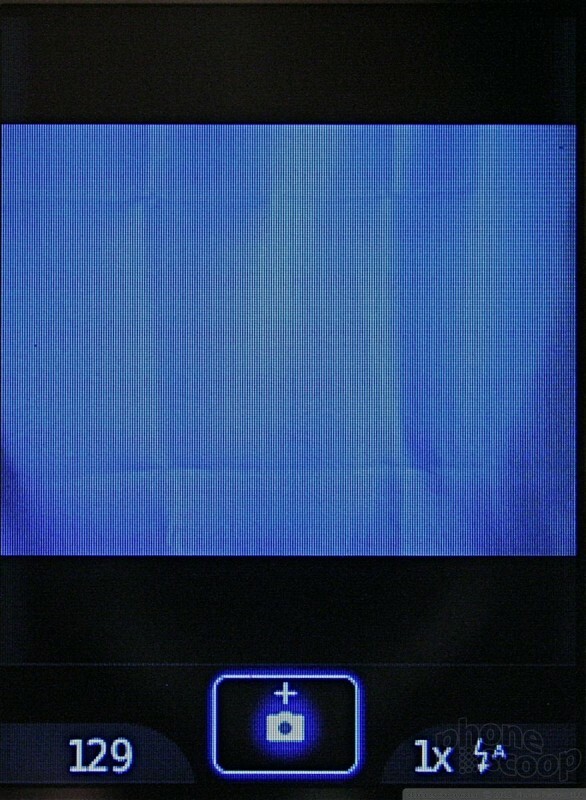 The viewfinder shows you just the central portion of the image. After you've framed your picture, hitting the track ball snaps the shot. It takes the picture right away and the Flip saves the image much faster than the Pearl or Curve. After it is saved, you have 5 immediate options to choose from. The default is to take another picture, but you can also choose to send the image (as an email or MMS), rename it, set as desktop/caller ID, or trash it. 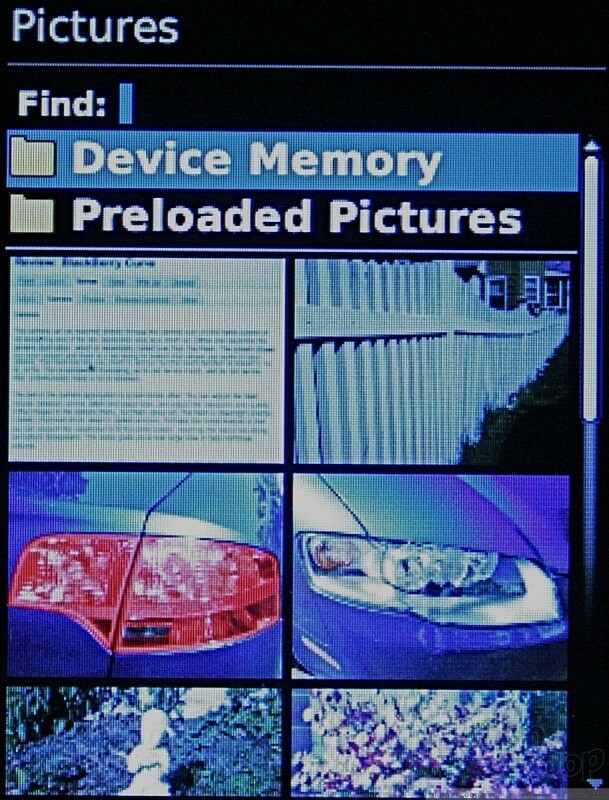 The gallery app is accessible from the Media icon or from the camera application. In the gallery, if you hit the BB key you get a long list of options. With this list, you can basically take any action imaginable, including setting the selected image as your homescreen, emailing it, renaming it, moving it and many more. 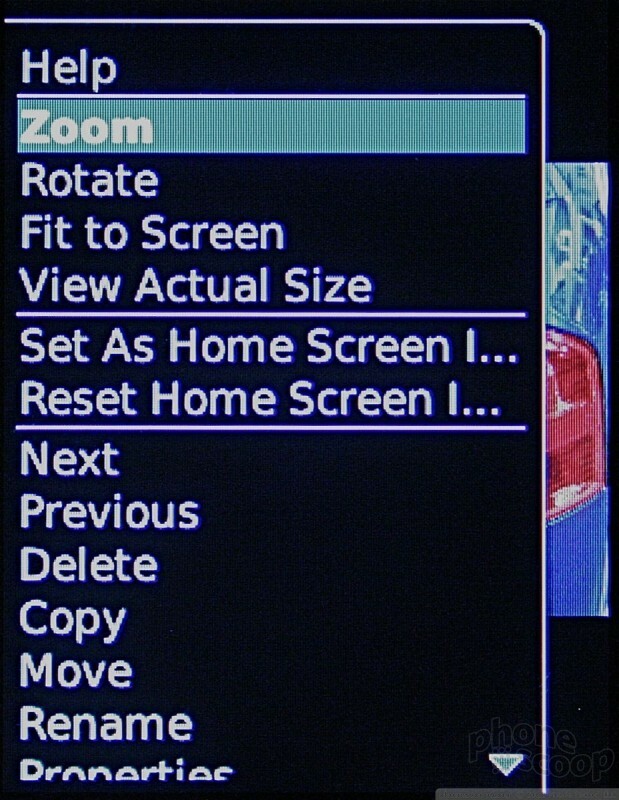 After you have a picture open, hitting the BB key brings up another list of actions, including zooming in and out and some of the options of the aforementioned menu. There may not be advanced editing capabilities, but you can send picture files just about anywhere via multiple different methods.